VietNamNet Bridge – Peter Dunai was among very few foreign correspondents who travelled to the northern border area of Vietnam to cover the 1979 Vietnam-China border war. He came to Vietnam to work as a foreign correspondent for the Hungarian News Agency and Hungary’s biggest daily newspaper Nepszabadsag (People’s Freedom) in 1981-1984 after the intensive first phase of the war. 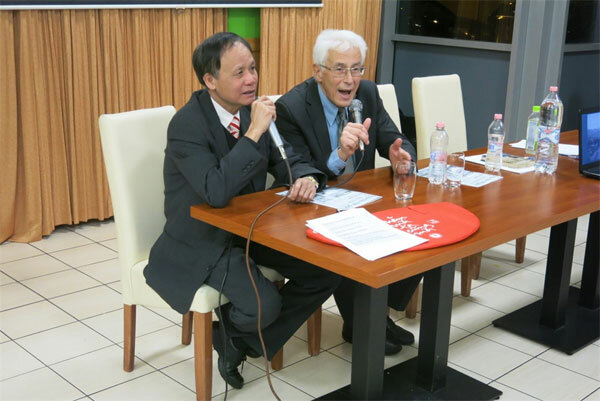 Though the war was over almost 40 years ago, Dunai has kept regular contact with the Vietnamese community in Hungary and memories about his work in Vietnam still linger in his mind. “I was deeply touched by seeing the people rebuilding the country, the workers toiling the whole day on a handful of steamed rice, the peasants wearing raincoats made of palm leaves, the women standing barefoot in cold water planting rice,” he told Việt Nam News in an email interview. “I returned to Hungary with a deep sympathy for the Vietnamese people undergoing incredible suffering, which I was fortunate, or unfortunate, to witness and report, families who lost loved ones, innocent people maimed or killed, those who lost home due to terrible shellings,” said Duna. Last week he was invited to a meeting with the Vietnamese expats in Budapest to talk about the border war. The meeting was held by Nhịp Cầu Thế Giới newspaper to mark the 40th anniversary of the war, attracting some 60 Vietnamese and Hungarian people including Bakos Ferenc, the translator of Nỗi Buồn Chiến Tranh (The Sorrow of War) by Bao Ninh, and Marton Varaljai, a diplomat working in Vietnam in the 1980s. “I was happy to share my thoughts and experiences with the audience. I noticed that in Vietnam, for the first time, the window of opportunity opened to talk about events 40 years from now. On the contrary, in China silence is kept about the events 40 years ago,” said Dunai. “I knew from the very beginning that it was China which started the war as “punishment” for Vietnam actively supporting forces in neighbouring Cambodia to overthrow the murderous Pol-Pot regime. 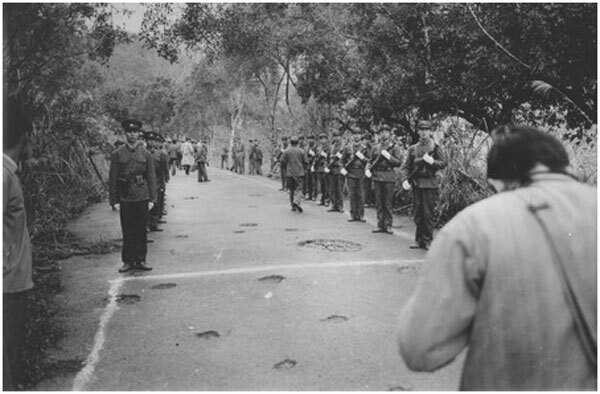 “Chinese soldiers, who were sent for a war they didn’t understand and probably not support, say they are forgotten. Chinese war veterans also want to be acknowledged for the sacrifices they made. They were not volunteers (as far as I know) and it was not their decision to go and fight against soldiers defending their own country,” said Dunai. The meeting’s audience, many of whom were young, made Dunai “happy and satisfied”. There in the beautiful city of Budapest, the audience travelled back to the year 1979 to learn about the Vietnam-China border war. They learned about the main events, the strength of the invading Chinese army, and the destruction caused to Vietnam’s towns, roads and railways. China invaded Vietnam on February 17, 1979. Though it announced a withdrawal on March 14, Chinese military forces still illegally occupied several positions in Lang Son, Cao Bang and Ha Tuyen provinces until late 1980s. At the time Dunai worked in Vietnam, the country was “exhausted”. “The devastating war with the United States disrupted life in Vietnam. Vietnam needed peace to rebuild the country. But suddenly came the Chinese invasion of some border provinces," he said. “I’ve seen the terrible destruction, the homes, hospitals mined and blown up, roads, railways disrupted. I was lucky having an old Soviet-made Zhiguli-1200 car, and later a much better Toyota Corona, so I could travel all over Vietnam. “Travelling was an adventure in itself. Some bridges on National Highway 1 between Hanoi and Ho Chi Minh City still weren’t repaired, the Zhiguli crossed the river piggybacking on a truck. “Even the foreigners living in Hanoi received a limited quantity of food, drinking water supplied mostly by the Soviet Union. Those more well-off ordered food from Hong Kong. Wheat flour was of poor quality, with a lot of bugs. We ate bread which was dotted with small black things, dead bugs." 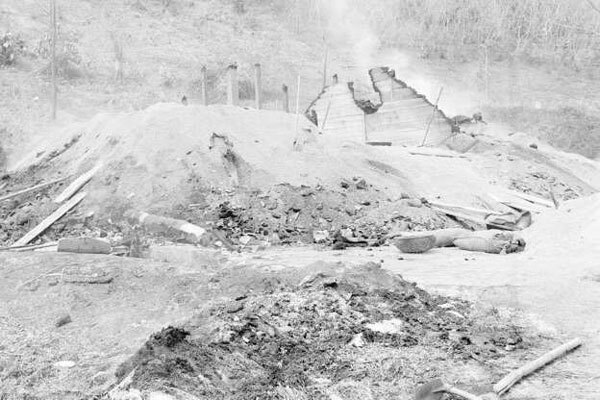 Chinese army incursions and shellings were common sights when he visited the Vietnamese northern border area between 1981-1984. After the Hungarian journalist left Vietnam, he wrote Hundred Thousand Kilometres in Vietnam about his experiences. The book was published in Budapest in 1985 in Hungarian. “I wrote my experiences as an observer, reported about my travel all over the country,” said Dunai. After Vietnam, he worked as foreign correspondent in Moscow for seven years, Beijing for four years and Berlin for four years. “But Vietnam impressed me the deepest – in a positive way. All the time I kept an eye on Vietnam’s development,” said Dunai. “[I] was proud to see your country undergoing incredible positive changes. Today Vietnam is one of the fastest growing economies. Hanoi I knew in the first half of the eighties gave way to a modern, clean, lively capital, one of the nicest I’ve ever seen,” said Dunai. He retired in 2006 and will return to Vietnam this year with his big family. “This year I plan a trip with my whole family (including my grandchildren) to Vietnam. I love Vietnamese food, phở and other favourite dishes which were staple foods while I travelled to the countryside in 1981-1984. “At that time, I was ashamed that many Vietnamese were hungry, with no means to travel – and I had a car and enough food. Now I’m happy to see that wealth and prosperity returned to the country – at least for a lot of people,” said Dunai.